HIFU CLINIC Prostate Cancer Center’s patron is St. George. 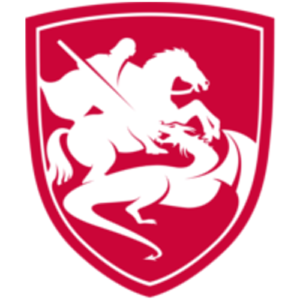 Our logo is based on a XVII century relief showing St. George locked in combat with a dragon. Due to its roots in a traditional legend our logo also has a symbolic nature. St. George is the symbol of triumph in battle and hope, while the dragon personifies disease. As legend goes St. George was a knight and close subordinate to Diocletian, he was a count and tribune, consistently rising within military ranks. The legend tells the tale of his battle with a dragon in defence of a princess meant to be sacrificed as an offering to the mighty beast. Currently St. George is the patron of several countries including Great Britain, Georgia and Lithuania as well as dioceses and archdioceses. Several brotherhoods and religious congregations are also dedicated to St. George since he is the patron of knights and soldiers. Primarily however St. George is known as the patron and defender of all patients.